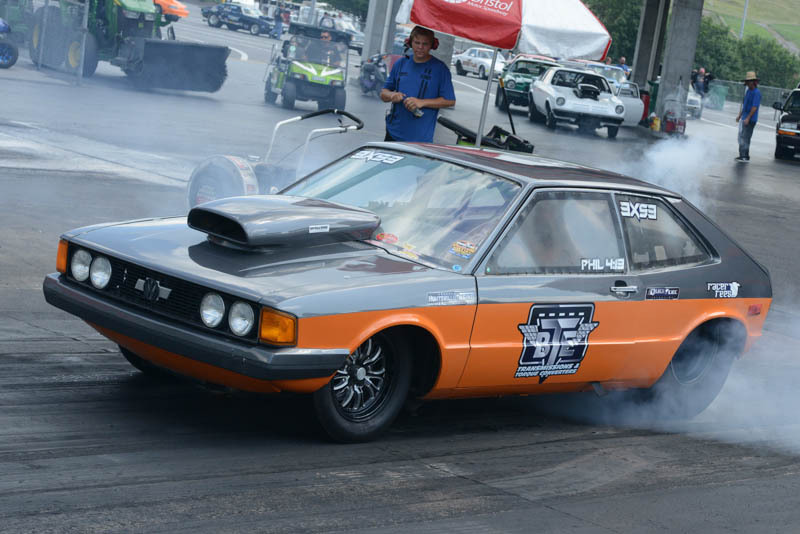 Since well after last year’s BTE World Footbrake Challenge, the 2018 event—the 12th such event in the WFC history—was billed as the Yukon Gear & Axle Triple $10s, three days of racing with three separate $10,000-to-win races for those leaving off the bottom bulb with no electronic driver aided devices. However, Friday’s race was cut short by Mother Nature. One round of racing was complete but that wasn’t enough for co-promoters Steve Stites and Jared Pennington to deem it an official race. Partly because we guarantee the entire purse, said Pennington, and mostly to be fair to our customers, we chose to scrub the whole day and instead take the Friday purse and split it amongst the Saturday and Sunday races. If you had lost that first round, it didn’t matter, you were back in for Saturday and Sunday. In essence, both Saturday and Sunday now became the Double $15 for lack of a better term. A single time trial session began at 8:00 am and by 11:00, the first round of eliminations began with an invocation by Jeff Gatlin and the singing of the greatest song in our country, the Star Spangled Banner. Three hours after the first round was complete, a total of 383 entries made the first round call ranking it right there as one of the best fields in WFC history. Once the Saturday $15K event was done, the schedule called for a second Gambler’s Race to take place during the Saturday Racer Appreciation Dinner. But back to the main event first and with five still left in round eight, the survivors and quarterfinal combatants were Lee Zane, Jonathon Surratt, Matt Sayers, Cody Barnhart and Devin Dudley. Sayers and Zane battled which didn’t last long as Sayers turned on the red-light, handing the win to Zane who was not giving much up as he had a .004 reaction time. In a double break-out affair, Dudley came out on top of Surratt. And finally, Barnhart took the bye run which set up a unique affair. With three remaining, each had already received a bye run which reverts to the best winning reaction time of the winning trio, which was Zane’s, giving him the semifinal round bye to the final. Looking to match-up with Zane, Dudley and Barnhart staged up with reaction times respectively at .049 and a .016 and a double break-out with Barnhart the lesser offender to advance him to the final. With Barnhart driving Chance Lykens BTE-sponsored Chevrolet-powered Volkswagen of all things, both he and Zane were close in dial-ins with Barnhart at 6.22 and Zane 6.19. Reaction time advantage went to Barnhart by just a slight .007 and it was Barnhart who seemingly parked his car at the finish line to force Zane under his dial handing the win to the 22-year old from Cullman, Alabama. Still left to complete was the Saturday night Gambler’s Race with an unusual father versus son final. It was dad Rodney Finchum and his son Jake squaring off at 12:30 in the morning to finish off the day. And it was old age and treachery which overcame youth and exuberance with dad behind in reaction time but using a dead on the dial with a “0” to defeat his son for the win. MotorManiaTV was on hand all weekend thanks to Environmental Oil Recovery, broadcasting the entire race.